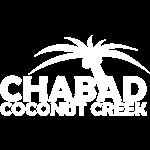 Chabad would like your appreciation, your appreciated securities, that is. Donating stock may be a perfect way to show your appreciation to our Jewish Center. Your tax-deductible donation is based upon the value of the stock on the date of transfer to our non-profit, section 501(c)(3) corporation, and you will avoid tax on any gain over your basis. We encourage you to consult with a competent tax advisor, as this is a recognized method of maximizing the value of charitable donations.